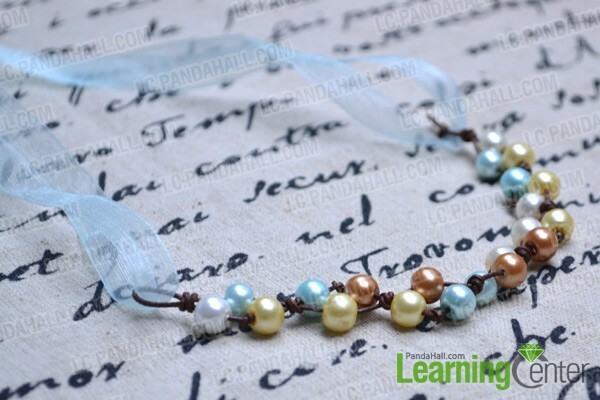 Summary: This tutorial is going to show you how to make four-colored floating pearl necklace with simple knotting techniques. 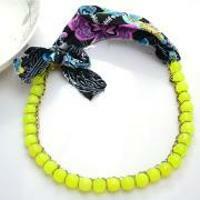 Most floating necklaces are handcrafted in a simple knotting way. This one is no exception. 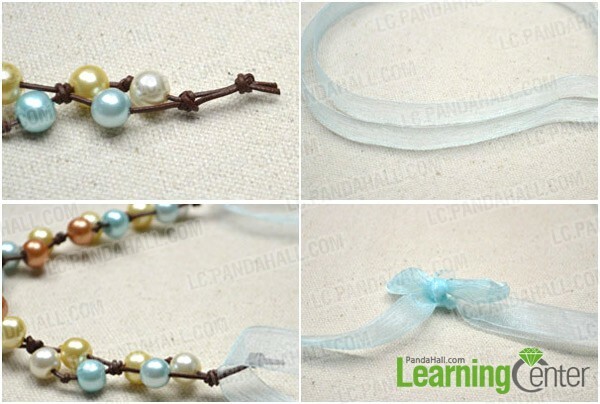 I choose 4 kinds of light colored glass pearls for this necklace making. 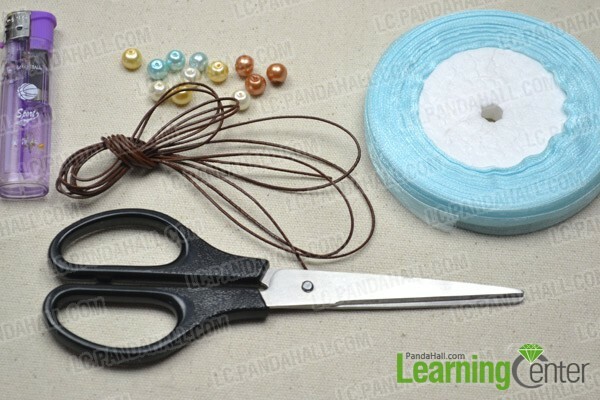 With the following steps you will figure out how to make the floating pearl necklace in simple knotting way. 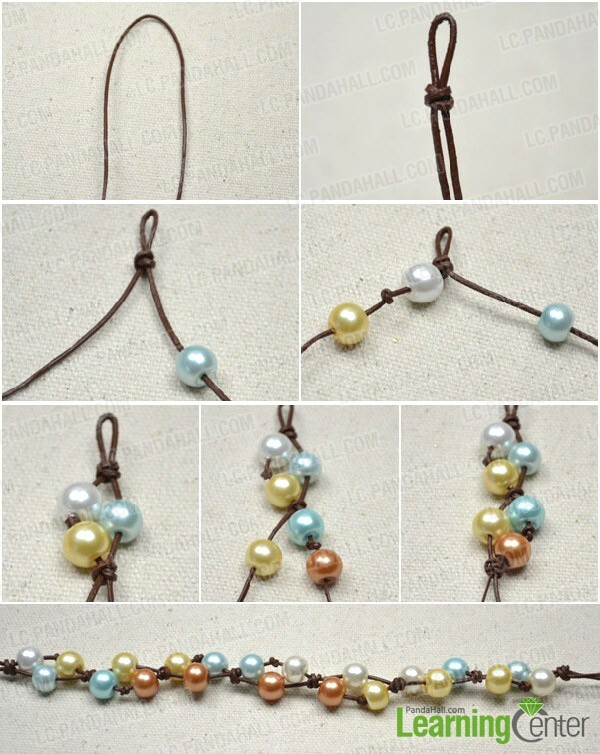 7th, slide an ivory pearl onto left strand and tie a double connection knot beneath them. 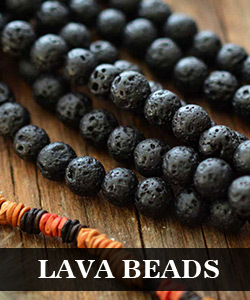 8th, repeat above process to get 7 sets of the beads. 4th, tie a bow knot at the ribbon ends. Tada! The floating pearl necklace is finished here. 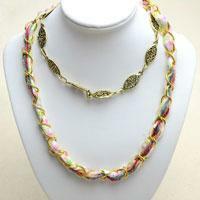 Knotted pearl necklace belongs to braided jewelry pattern. I bet some of you may fancy this elegant pattern.